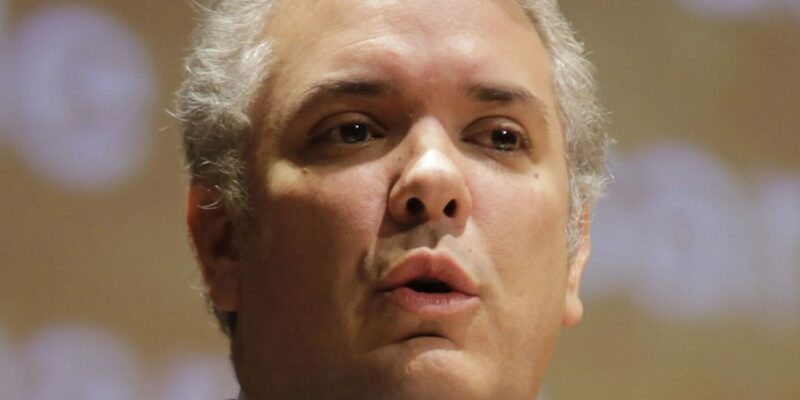 Colombia’s President Ivan Duque said Sunday he will sign a decree that would allow police to confiscate small amounts of drugs from presumed consumers, despite warnings this would be in violation of the constitution. According to Duque, the new policy seeks to target drug dealers, but will also affect consumers. The president announced he would also seek to strengthen public health policies that seek to improve public services aimed at the prevention and intervention of drug addiction, which has been on the rise throughout Latin America. It appears that Duque’s decree would not allow Police to fine or arrest people caught with small doses of drugs as proposed by Guillermo Botero, Duque’s controversial Defense Minister who is in charge of the police. At a time that more and more countries are choosing to decriminalize the possession and consumption of marijuana, a drug generally considered less harmless than coffee, Duque wants to defy this global trend and return to repressive policies. Currently, consuming drugs in public is against the law and allows police to obligate consumers to take a course on the dangers of drug addiction. The carrying of small doses of drugs and there consumption are decriminalized and considered a public health issue. The reversal of the liberal policy promoted by his predecessor, former President Juan Manuel Santos, is highly controversial; according to the Constitutional Court, the possession of drugs like marijuana and cocaine is permitted as long as the drugs are for personal consumption. Consequently, it is far from certain whether the court will ratify the presidential decree that bypasses Congress or declare the presidential order unconstitutional. The ban on the possession of marijuana will take effect the minute the president signs off on it, meaning that by the end of the week police will be allowed to confiscate all drugs, no matter how small the portion. Duque’s intents to rewind the country’s drug policies, has spurred major opposition not just from consumers, but also from drug policy experts and scholars. According to the dean on the law faculty of the Free University, Duque’s decree is “an attack on liberty” that is in violation of the constitution. President Ivan Duque and his conservative friends, with the publication of the draft decree that seeks to confiscate the personal dose, are not only demonstrating their ignorance of the precedent of constitutional jurisprudence that precedes this controversial issue, but are also ignoring what the Constitutional Court has said and decided on the matter. Whether Duque’s decree will survive scrutiny from the Constitutional Court is far from certain, and possibly unlikely. The court that tests the constitutionality of laws and decree on multiple occasions ruled that the consumption and carrying of marijuana is a constitutional right.